One of the core areas of hospitals that need to be exceptionally well designed and well managed is outpatient flow management. An efficient patient flow can directly impact a hospital’s bottom line, thus it’s equally important to provide a streamlined customer service along with high quality healthcare service. Enhancing patient flow management has a significant impact on other interlinked systems working to integrate and manage customer details, and other sensitive information. 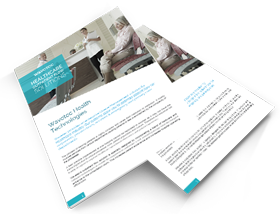 Wavetec’s flexible and customizable, front-line healthcare solutions are a perfect match for hospitals aspiring for a complete customer centric approach to healthcare delivery.